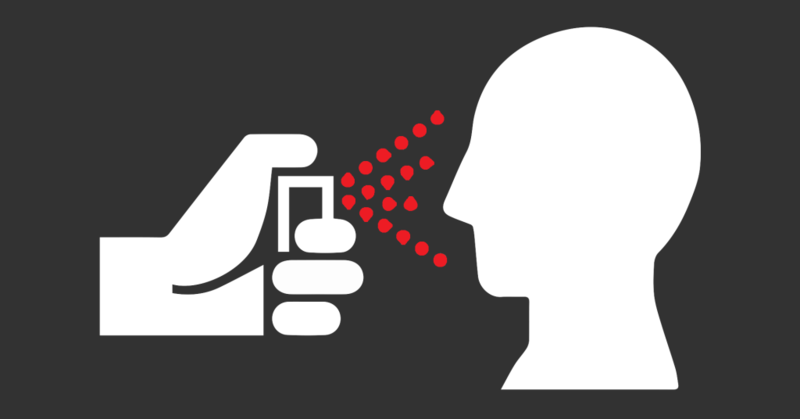 GRAFENWOEHR, Germany — German laws allow you to carry certain forms of pepper spray, but Army regulations prohibit you from bringing it on-post. Recent reports of an increase in crime and terrorism across Europe, such as those in Cologne and Paris, have raised concerns regarding personal safety. Conversations about self-defense and the demand for personal protection products are on the rise, and some members of the USAG Bavaria community have specifically asked about their rights to carry pepper spray. Anyone interested in possessing pepper spray, or any other weapon, must satisfy rigorous conditions outlined by the Arms Act and undergo a lengthy, highly regulated process involving licensure through the German government. The second type of pepper spray in Germany is reserved specifically for protection against animals. According to USAG Bavaria’s German Polizei Liaison, Gerhard Maenner, animal-repellent pepper spray is not considered a weapon in Germany and anyone over 18 is authorized to carry it. The label must read Tierabwehrspray, which means “animal defense spray,” or in some way indicate that the pepper spray is only for protection against animals. The only reason for possession must also be for this purpose. The spray is available at sporting goods stores in Germany. Maenner also stressed that it is illegal to carry any form of pepper spray, regardless of its purpose, at demonstrations and large public gatherings. Pepper spray is a natural, non-toxic substance that causes immediate inflammation and irritation of the eyes and lungs. The recipient usually experiences temporarily blindness, difficulty breathing and coughing. The active ingredient of pepper spray, also known as OC gas, is oleoresin capsicum, which derives from hot peppers. “Plain and simple: pepper spray is not allowed on-post,” said USAG Bavaria’s top cop, Director of Emergency Services, Lt. Col. John Bergman. “According to Army Regulation 190-14, certified U.S. Army military and civilian law enforcement or security personnel working in an official capacity are the only individuals authorized to possess and administer pepper spray on military installations,” said Bergman. Pepper is considered a weapon by the U.S. Department of Defense and will be confiscated by Military Police without warning. Depending on the situation, you may also be charged. Pepper spray is such a serious “use of force,” in fact, that it immediately precedes more severe enforcement measures, including the MP club, military working dogs and presentation of deadly force. Only on-duty MPs who pass annual certification programs, involving personal application of OC gas, are authorized to use it. How do you stay safe during travel? According to Bergman, one of the best ways to ensure personal safety is to travel in groups. You can also dial 110 on any phone to reach the nearest European police station in the event of an emergency. All DOD community members are also required to receive a security briefing on the desired travel location. These briefings are offered by a unit’s S-2 and the garrison Security Office.